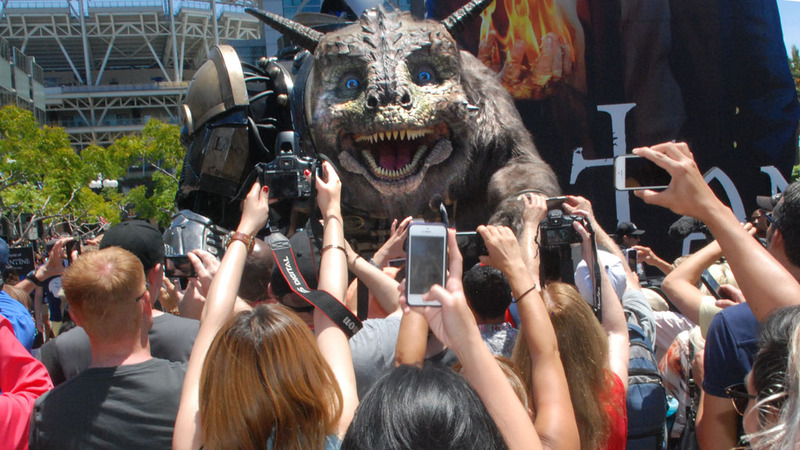 Comic-Con offers wonders to behold for both first-timers and for veterans. Three-year old P.J. Gregoire’s mouth was agape and his eyes wide as he spotted a giant replica of an alien cocoon from television’s “Falling Skies” on the Comic-Con exhibit floor. It was his first ever visit to Comic-Con and all the sights and sounds were almost too much for the little one, said his father, Dan Gregoire. P.J. was dressed in a Batman outfit, but when asked who his favorite superhero was, he didn’t hesitate to say it was Green Lantern. P.J. and his father got inside the cocoon to have their picture taken and then walked away to find more adventure in the massive exhibit hall. 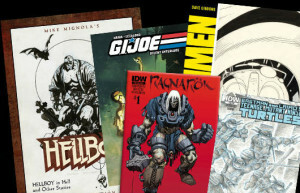 For Rosalind Moorehead and the staff of IDW Publishing, Comic Con isn’t new but it’s exciting. 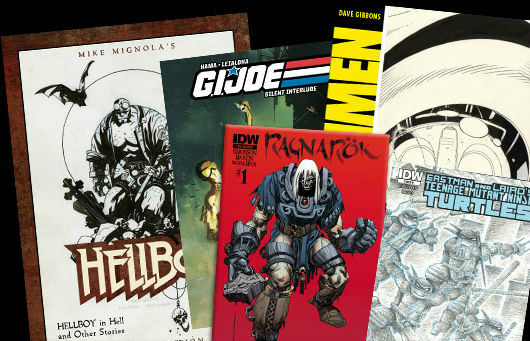 IDW started out as a local company in Pacific Beach and is now a comic book industry leader that is celebrating its 15th year at Comic-Con. For its anniversary celebration at Comic Con, it was making news with announcement of a new comic book title based on the cult TV show “Orphan Black” and autograph signings by renowned”Watchmen” artist Dave Gibbons. “We’re hometown heroes,” said Morehead.